George and Abe. 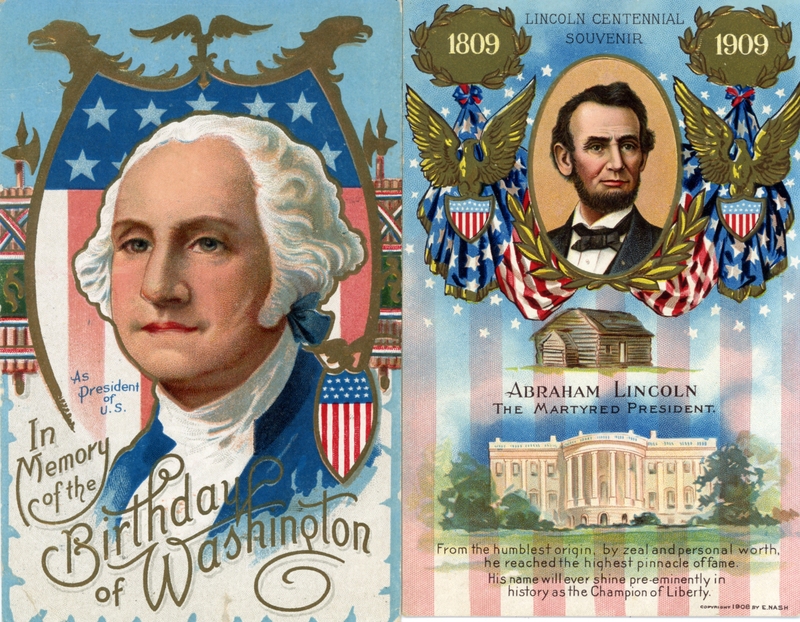 Two of our most famous, accomplished, and popular presidents. Both of whom visited Shiretown. How many towns can claim that such important figures in U.S. history spent time within their borders, and be able to point out the exact place and time of the visit? Washington spent the night of April 4, 1776 at the home of Samuel Dexter. Then General Washington was on his way to New York after having successfully driven the British out of Boston. The house still stands on High St., although it has been much altered over the years. 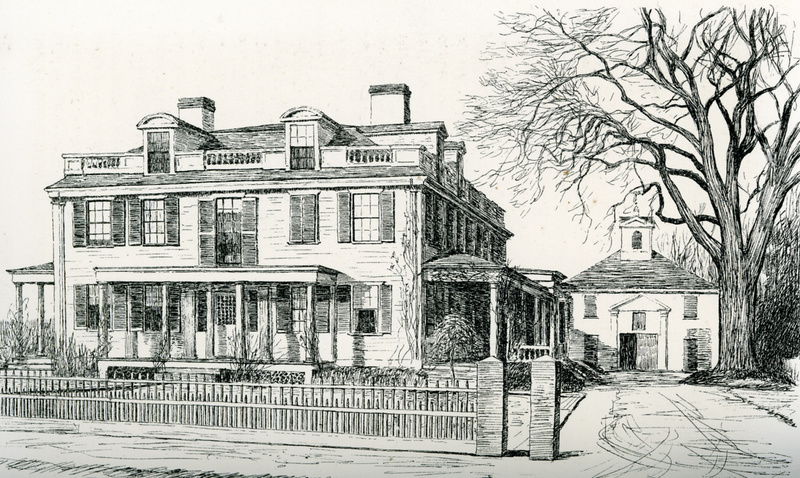 There is another Shiretown tale associated with this house which involves the Battle of Bunker Hill, a suicide, a curious soldier, and a rotting corpse. That tale will be told here at a later date. Just down the street from the Dexter House is the Community House, also known as the Judge Samuel Haven House. It was here that Illinois Congressman Abraham Lincoln was entertained for lunch on September 20, 1848, while traveling New England in support of presidential candidate Zachary Taylor. Later that day, Lincoln spoke at Temperance Hall on Court St., before catching a train at the station that once stood in the Square where the town parking lot is now located. 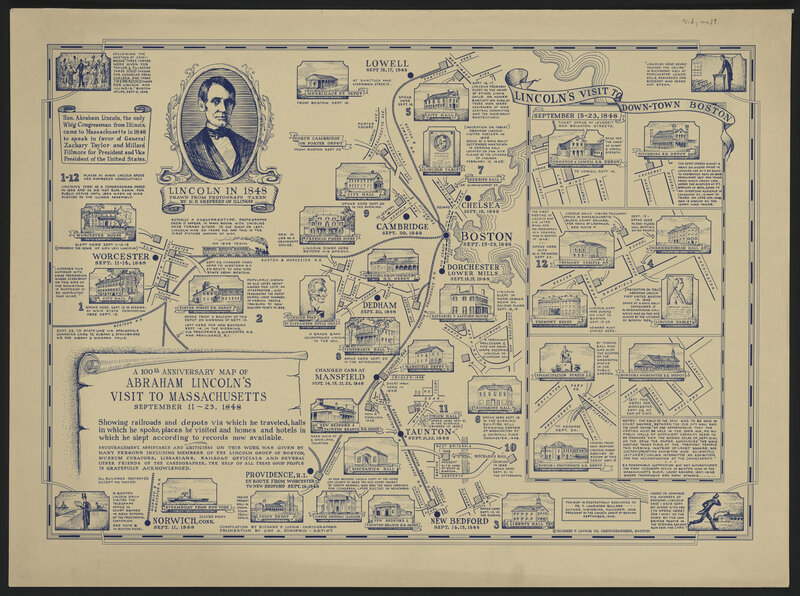 Below is a map commemorating Lincoln’s Massachusetts visit. See if you can find details of the Dedham trip on the map! Other presidential visitors to Dedham include Andrew Jackson and John Quincy Adams. This entry was posted on February 21, 2011 at 11:30 am and is filed under History/Mystery. You can subscribe via RSS 2.0 feed to this post's comments. You can comment below, or link to this permanent URL from your own site. Very interesting.The music is a nice touch! I’m looking forward to learning about the rotting corpse! Very interesting. Washington was actually born on Feb. 11th. When the Gregorian calendar was adopted he changed his birthday to Feb. 22. Just a little fact I knew. And now we celebrate George in a shared holiday on the 3rd Monday. If my memory is correct, we used to get both George and Abe’s b-day off from school before the Presidents’ Day holiday started in 1971. Oddly enough, the third Monday of the month can never fall on the 22nd! Dedham has more stories and secrets than you’d ever imagine- keep checking the blog or contact me about getting a copy of my book- you won’t be disappointed!